Federal Reserve building, the world's largest depository of gold. 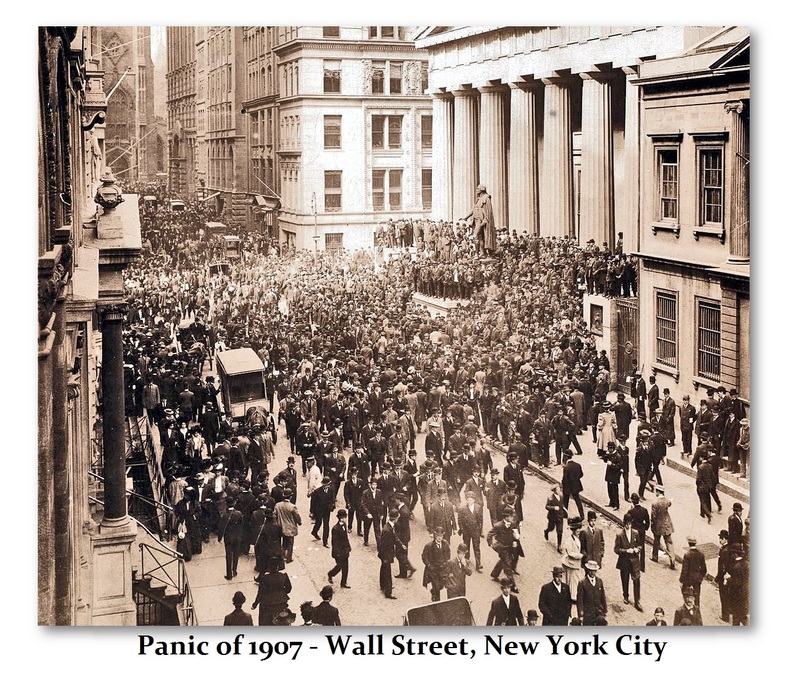 The Panic of 1907 was the first worldwide financial crisis of the twentieth century. York Stock Exchange fell nearly 50% from its peak in the previous year. 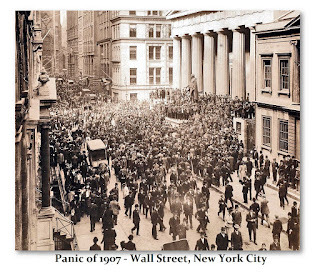 At that time Unites States was the only one of the world’s major financial powers without a central bank. J.P. Morgan organized private sector investments and lines of credit to stabilize the banking system amid its latest panic. President Woodrow Wilson signed the Federal Reserve Act on December 1913, culminating three years of discussion and debate the development of a central bank. The Federal Reserve Act intended to establish a form of economic stability in the United States through the introduction of the Central Bank. 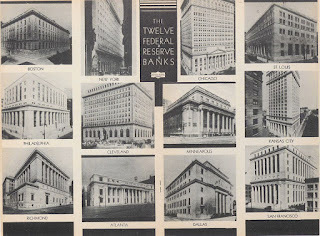 The U.S. Federal Reserve System or the “Fed” (of which the twelve regional Federal Reserve banks are a part) was created by an Act of Congress in a response to a crises. 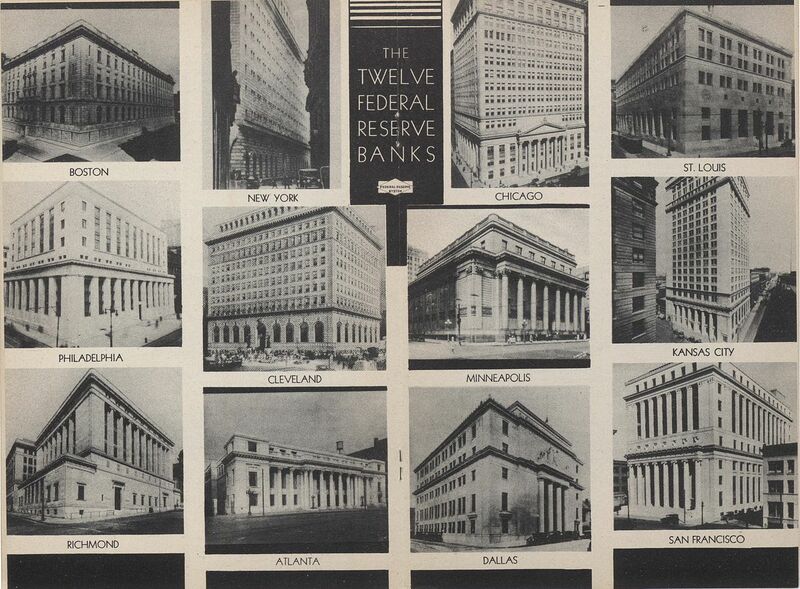 By November 16, 1914, the 12 cities chosen as sites for regional Reserve Banks were open for business: Boston ,New York, Philadelphia, Cleveland, Richmond, Atlanta, Chicago, St. Louis, Minneapolis, Kansas City ,Dallas and San Francisco. The Federal Reserve System provides the government with a ready source of loans and serves as the safe depository for federal money. The New York Federal Reserve district is the largest by asset value. New York Bank also serves the Commonwealth of Puerto Rico and the U.S. Virgin Islands. The Federal Reserve Bank of New York Building at 33 Liberty Street occupies the full block in the Financial District of Manhattan. 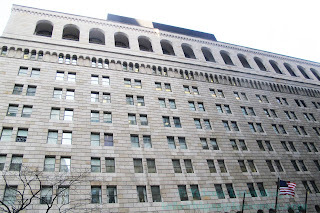 The building reaching fourteen stories tall with five additional floors underground was built from 1919 through 1924. 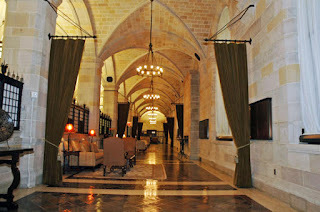 Architecturally, the building is reminiscent of the Italian Renaissance palazzos such as the Strozzi Palace in Florence and the Palazzo Vecchio, the town hall in Florence. When it was completed in 1924, the New York Fed was the largest bank structure in the world. In June 1924, the 2,600 officers and employees of the Federal Reserve Bank of New York began moving into the facility. The building also hosts a vault containing the world's largest depository of gold, stored on behalf of numerous government institutions from around the world. No individuals or private sector entities are permitted to store gold in the vault. The gold inside the Federal Reserve Bank holds 25% of the world’s gold reserves. Nearly 98% of the gold at the Federal Reserve Bank of New York is owned by the central banks of 36 foreign nations. It takes a combination of highly trained individuals and top-notch technology to protect all of that gold. Nearly all of the security employees maintain an expert qualification in all three weapon types - handguns, shotguns, and rifles. 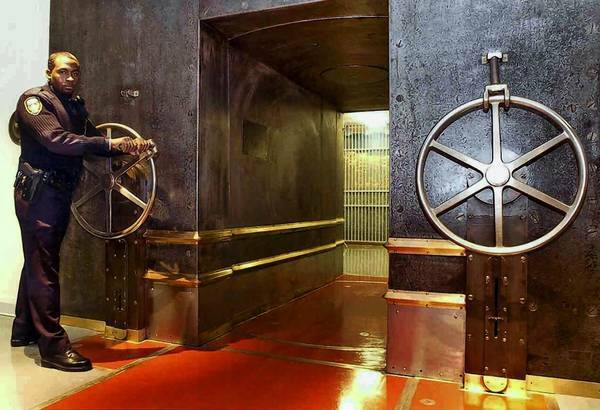 The vault itself can only be accessed via a 90-ton revolving steel cylinder. If anything is tripped, guards are signaled to seal the entire building – which takes less than 25 seconds. 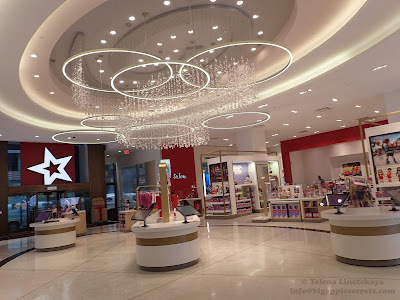 New York does not charge foreign nations a storage fee for their gold. The rest is owned by the United States and international organizations. 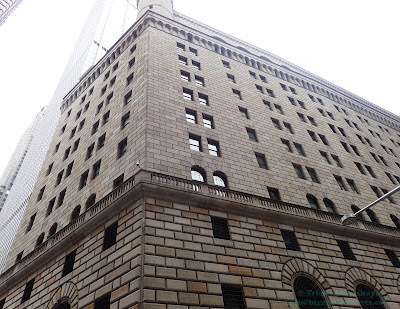 The New York Fed is the only one of the 12 Federal Banks to store gold. During constriction the Bank’s triple-tiered vault system was lowered to the bedrock foundation, 80 feet (24 m) below street level and 50 feet (15 m) below sea level —one of the few foundations considered adequate to support the weight of the vault, its nine-foot door and door frame (weighing 90 and 140-tons, respectively). Much of the gold in the vault arrived during and after World War II as many countries wanted to store their gold reserves in a safe location. Holdings in the gold vault continued to increase and peaked in 1973, shortly after the United States suspended convertibility of dollars into gold for foreign governments. 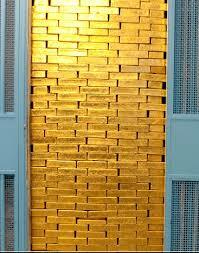 At its peak, the vault contained over 12,000 tons of monetary gold. As of 2015, the vault housed approximately 508,000 gold bars, with a combined weight of approximately 6,350 tons. Guided tours of the building are offered every weekday. Reservations are available at a first-come, first-served basis 30 days in advance on a rolling calendar and there is no waiting list. Tours fill up very quickly. No photos or videos are allowed. 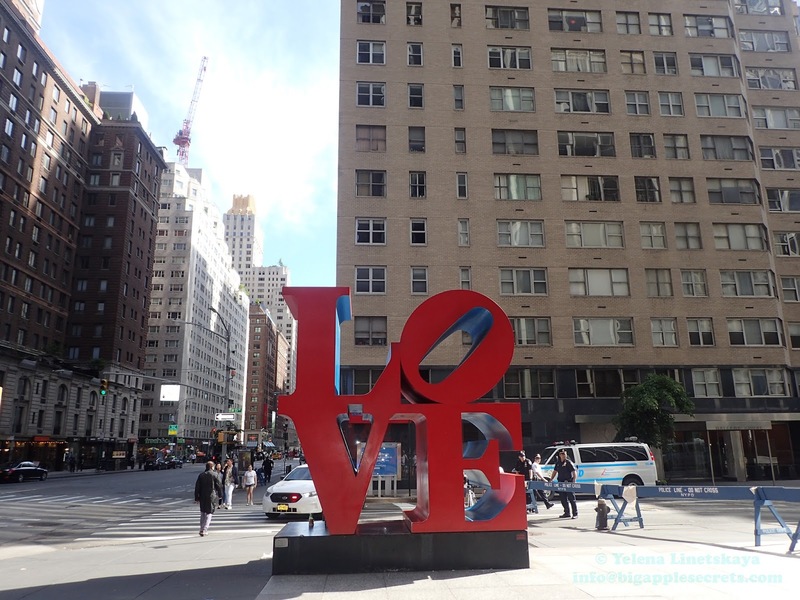 There are two well known sculptures by the artist Robert Indiana less than two blocks apart- “Hope” is on the corner of 7th Avenue and 53rd Street and “LOVE red blue” sculpture is just around the corner: at 6th Avenue and 54th street. 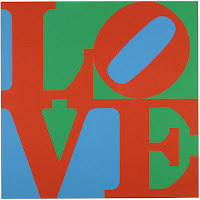 Robert Indiana, born Robert Clark, was born in Indiana in 1928. 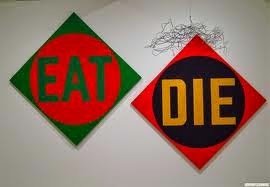 He moved to New York in 1954 and joined the Pop Art movement. Indiana held his first solo exhibit in 1962 at a gallery in New York. 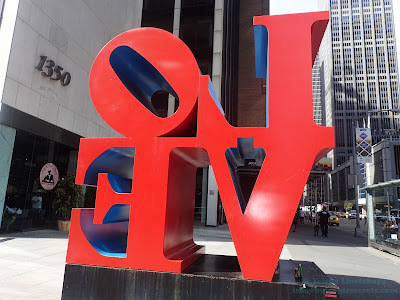 The work of Robert Indiana often consists of bold, simple, iconic images, especially numbers and short words like EAT, HUG. Few Pop images are more widely recognized than Indiana's LOVE. The image with the word "love" was originally designed as a Christmas card and commissioned by The Museum of Modern Art (New York) in 1965. 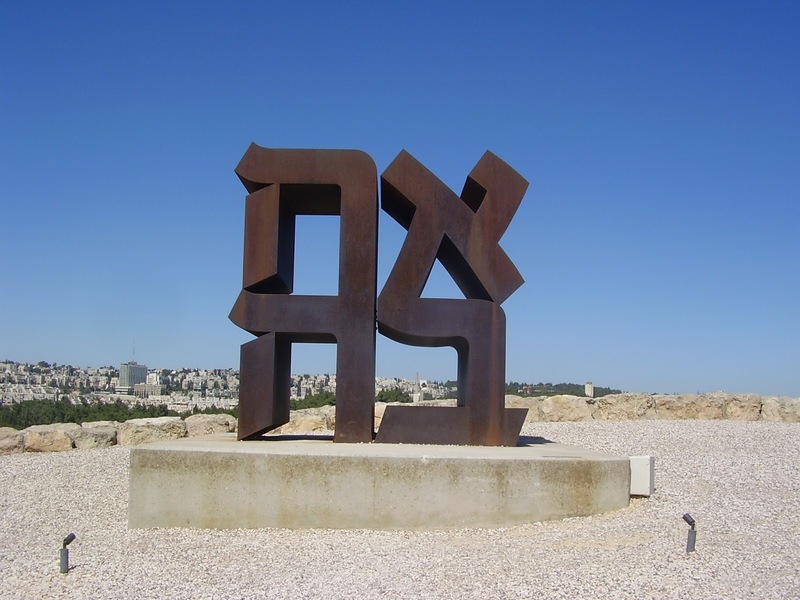 The artist built the first of many large LOVE sculptures for public display in 1970. It debuted in Boston, then in New York City. Later LOVE has appeared in prints, paintings, sculptures, banners, rings, tapestries. 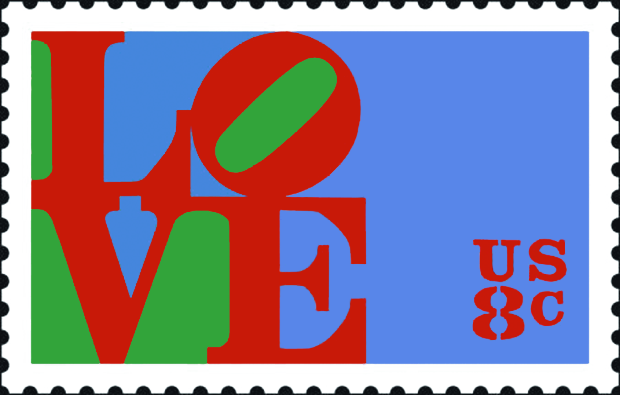 "Love" was included on an eight-cent postage stamp for the Postal Service on Valentine's Day stamp in 1973, the first of their regular series of "love stamps." Postal Service sold more than 300 million copies and the stamp with the word "Love" became, for many years, the best-selling commemorative stamp in history. Indiana has rendered LOVE in a variety of colors, compositions, and techniques. 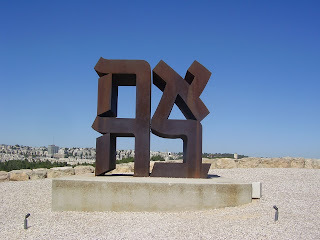 He even translated it into Hebrew for a print and a sculpture at the Israel Museum in Jerusalem. In 1995, Indiana created a 'Heliotherapy Love' series of 300 silk screen prints signed and numbered by the artist, which surrounds the iconic love image in a bright yellow border. These prints are the largest official printed version of the Love image. 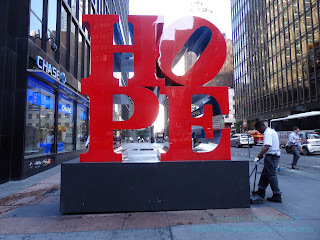 In 2008, Robert Indiana created an image similar to LOVE but this time showcasing the word “HOPE”. HOPE suggests light and illuminates a path to a better world. The “O” in HOPE leans forward, propelling us to look forward to the promise of a better, more peaceful future. Indiana donated all proceeds from the image to the Democratic National Committee for Barack Obama’s presidential campaign. International Hope Day was created to aid Indiana in fulfilling his vision of covering the world with HOPE. Each year on the artist’s birthday, September 13, Robert Indiana HOPE sculptures will be installed and displayed in locations throughout the world. $3 million, 13-foot tall, 3-ton "Hope" was moved to the corner of 7th Ave. and 53rd St. in September 2014. Gillie and Marc have worked side by side for 25 years. 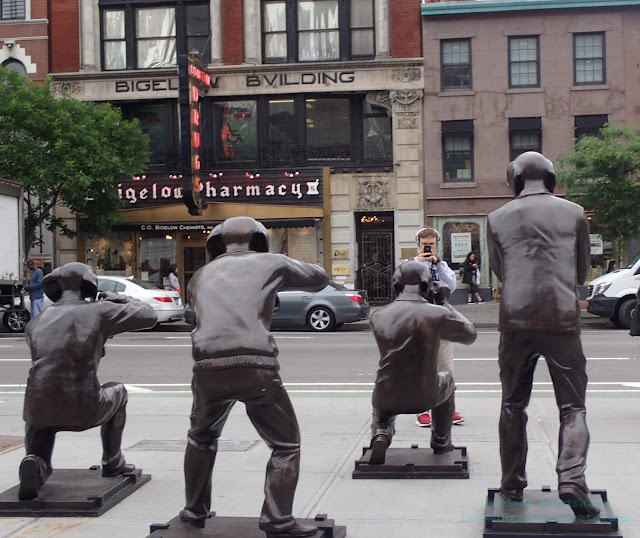 The husband and wife team are New York and Sydney-based contemporary artists who collaborate to create art as one. They are best known for their autobiographical characters, Rabbitgirl and Dogman. 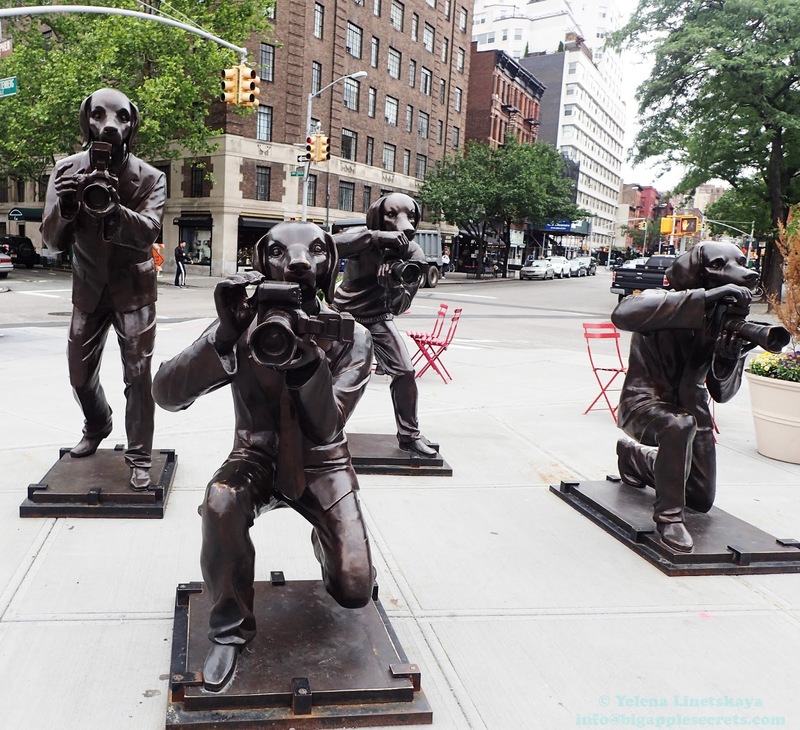 Their public artworks are all over the world including the U.S., China, New Zealand and Singapore. 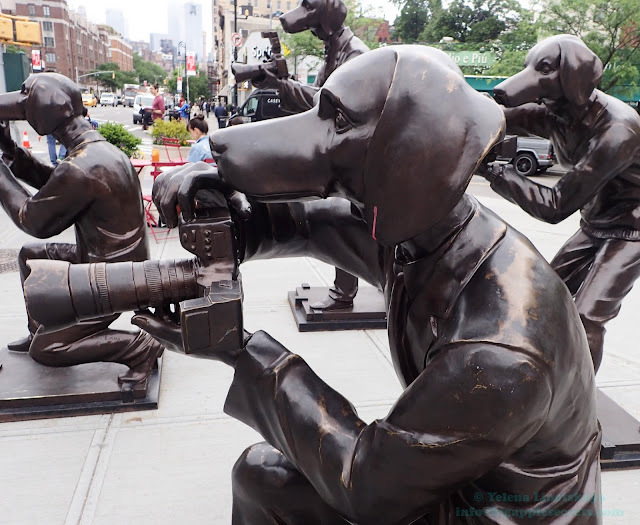 In 2013 Gillie and Marc launched a series of sculptures in Melbourne called The Paparazzi Dogs. The sculptures were later exhibited in Melbourne, Sydney, Singapore, Beijing and Shanghai and installed in New York City in 2016, first beneath the Manhattan Bridge in the Pearl Street Triangle and later in Greenwich Village, at the intersection of West Eighth Street, Avenue of the Americas, and Greenwich Avenue. 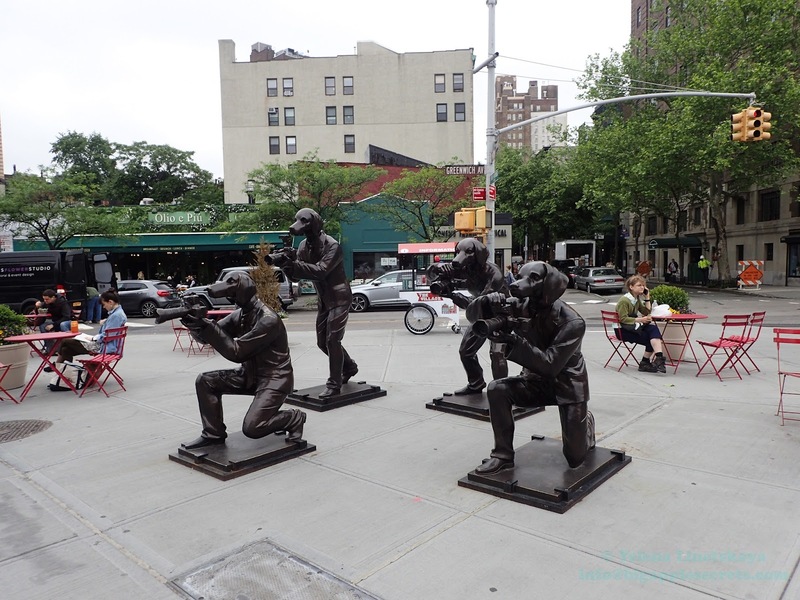 “We’re so excited that our ‘Paparazzi Dogs’ are in New York. They’ve traveled the globe taking photos, and now they’ve arrived at this fun, trendy place that has been photographed more than anywhere else, and that leaves you feeling so stimulated” - said Gillie. Gillie and Marc have given names to each of the “Paparazzi Dogs.” They are named for members of the British Royal Family, Charles, William, Harry and Tom. The artists wanted us to reflect on the tragic and avoidable death of Princess Diana. They intentionally used a group of dogs to expose the pack mentality of the media and how we hunt down celebrities to get that dangerous “behind-the-scenes” glimpse into their private lives.